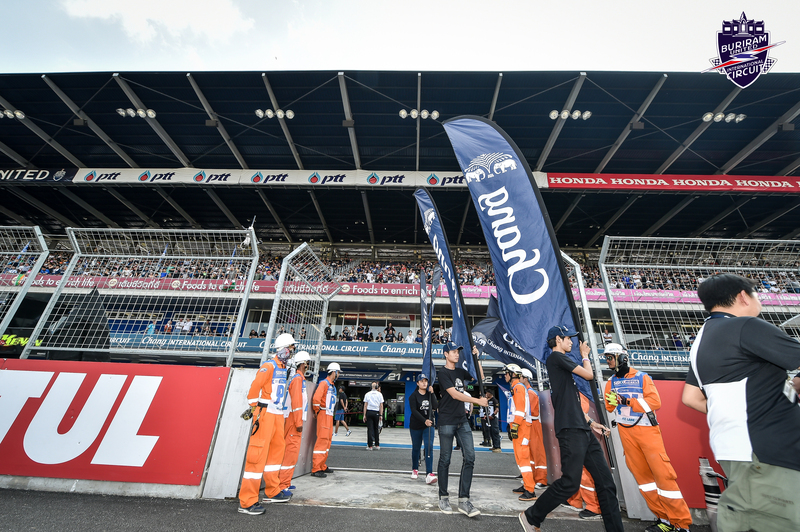 This year 2018, a new companion will join the Asian tour — meet the Buriram circuit, a fast track for the future Thailand GP where speed will take the lead. 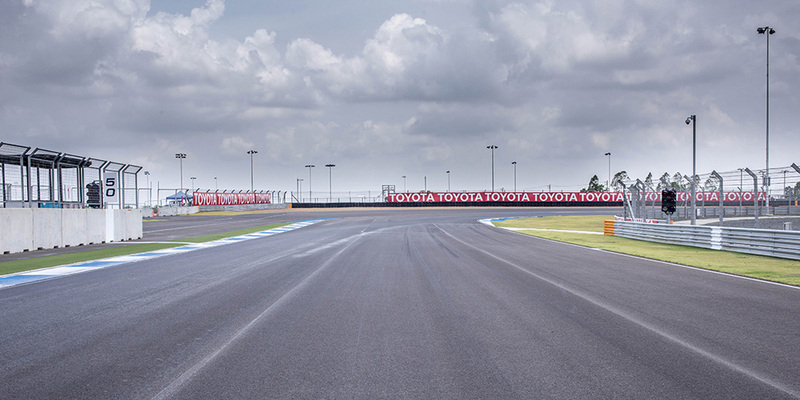 Everything in the Buriram circuit is designed for it to be an extremely fast track. It has three long straights where riders can reach speeds of over 330 kph (205 mph), tied together with wide open and rapid turns. This first sector, shaped in a way that brings the Austrian GP to mind, will be one of the fastest spots on the 2018 World Championship. In fact, turn 2 is likely the one with the highest top speed out of all the turns taken in this season of MotoGP. Covering 4554 meters (nearly 15 000 feet), this is a medium-level circuit in length where 26 laps will be run, covering a total distance similar to the Dutch GP. The circuit's 12 turns make it the one with the least curves on the calendar, equalling the 12 of Phillip Island and right above the 10 of Red Bull Ring. We still don't know the top and average speeds that will be reached in the Thailand GP, but it's expected that in a dry race this circuit will rival the Red Bull Ring circuit due to their many similarities. The Austrian track currently boasts the highest average speed: 186.9 kph (116 mph). There's also the possibility — albeit a difficult one — that we'll see a new record in maximum speed, which is currently 356.5 kph (220.5 mph) registered at Mugello. The part from turn 1 to turn 3, approximately 1 kilometre long, technically isn't a straight but is about as long as the straights in MotorLand and in Catalonia. This entire sector must be raced at ultra-high speed, with no letting up until turn 3. After some braking, a wide, long curve awaits us and leads us to another straight. 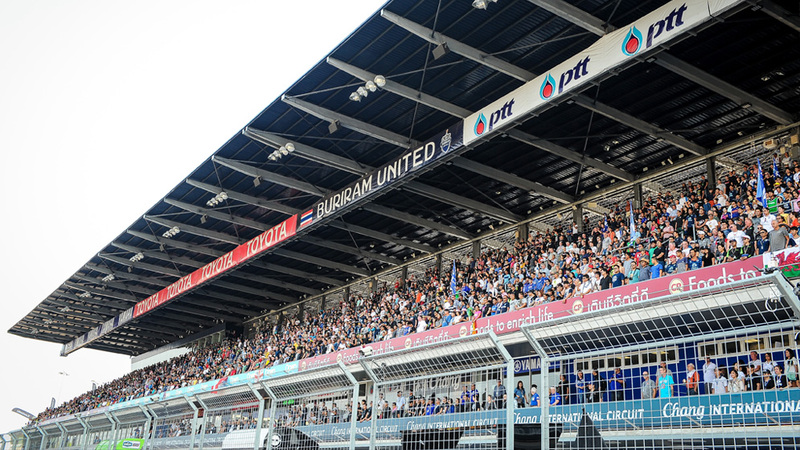 Buriram, which is also known as Chang International Circuit, is less than five kilometres (three miles) away from the town of Nai Mueang and north of the enormous Khao Kradong Forest Park. The rural area to the south is filled with abundant farmland and irrigation systems, which help ensure a very humid climate for us on our visit there. The warm temperatures and precipitation also indicate that racing conditions will be similar to those on the Sepang circuit in nearby Malaysia. The circuit, which opened on 4th October 2014, has capacity for 100 000 spectators, seating half of them in an impressive structure from which the entire track can be seen without any obstacles getting in the way. To achieve this, the boxes have been placed just below the stands, keeping them from blocking the view. This track, one of the narrowest in the World Championship, has five variants in addition to the main route and two artificial ponds to keep the air moving and reduce humidity. Without a doubt, this circuit will be a delight for fans of top speeds, where riders like Marc Márquez and Dani Pedrosa can do what comes naturally — ride fast like the wind.